A frequent question of cloud service providers and customers is "Can I perform seamless live migration of on-premises workloads to VMware Cloud on AWS?" JetStream Migrate is the first solution for VM migration that is integrated with VMware vSphere through the VMware vSphere APIs for IO Filters. This means that the software automatically installs from a vSphere Installation Bundle (VIB) and is deployed and managed by vSphere rather than an external application. The lightweight software package is configured automatically by vSphere, making it the simplest and easiest way to replicate data to the cloud for the purpose of live VM migration. Live migration is supported even when the VMs' data is copied to an external storage device and shipped to the cloud provider's data center. This demonstration of our compatibility is especially exciting because it gave us a chance to try out the unique features of our data replication solution in a VM migration to VMware Cloud on AWS. As with any deployment of JetStream Migrate, the software uniquely installs in the on-premises software-defined data center (SDDC) in a few minutes from a VIB and runs as an IO Filter in the vSphere cluster. The migration is managed from vCenter, with just a single window in the Web client for managing and monitoring the replication of the VMs' data. The data replication process works seamlessly with other VMware cloud solutions, including vRealize and NSX. We're excited about this new development in our partnership with VMware and quite pleased with the results of this testing. 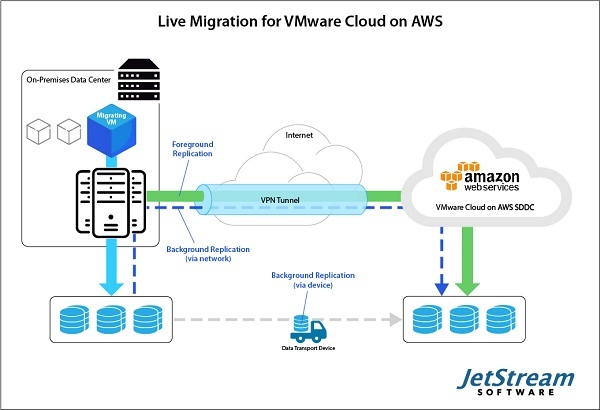 In particular, it shows how JetStream Migrate complements the VMware technology platform, addressing some important data replication requirements when migrating to VMware Cloud on AWS. Rich Petersen is co-founder and president of JetStream Software and has more than 20 years of experience in enterprise technology. 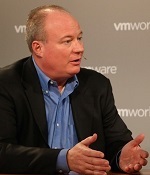 Previously vice president of product management at FlashSoft, which was acquired by SanDisk in 2012, Petersen served at LogicBlaze/Red Hat, Infravio and Interwoven. He earned his MBA at the Haas School of Business at the University of California Berkeley. For more information, please visit www.jetstreamsoft.com, www.linkedin.com/company/jetstream-software-inc/ and @JetStreamSoft.